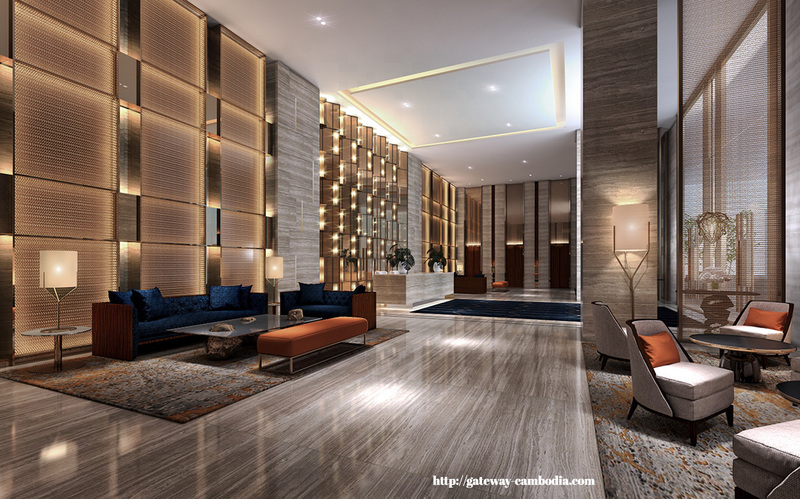 The Gateway Cambodia is an upcoming new launch in Phnom Penh, Cambodia. It is a joint development by Tiong Aik Corporation Singapore. 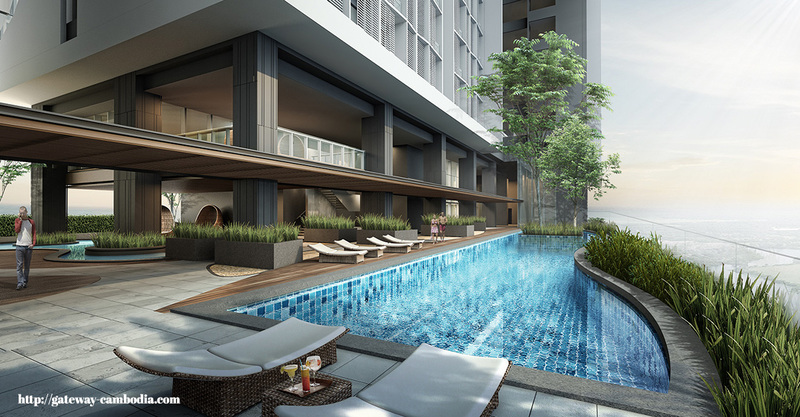 Mixed Used Development comprising of 2 storeys of Retail Mall, 24 storeys Office Tower and a 26 storeys Residential Tower with Sky Terrace and Basement Carpark at Russian Boulevard. 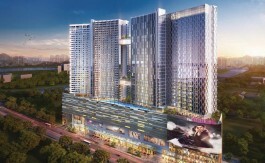 The Gateway Cambodia will be located along Russian Boulevard and will be amongst the Central Business District. It is 3 minutes away from major parts of Phnom Penh City. It will be alongside Retail Flagship Stores, Government Ministries, upcoming Mega malls, International Schools and Embassies. 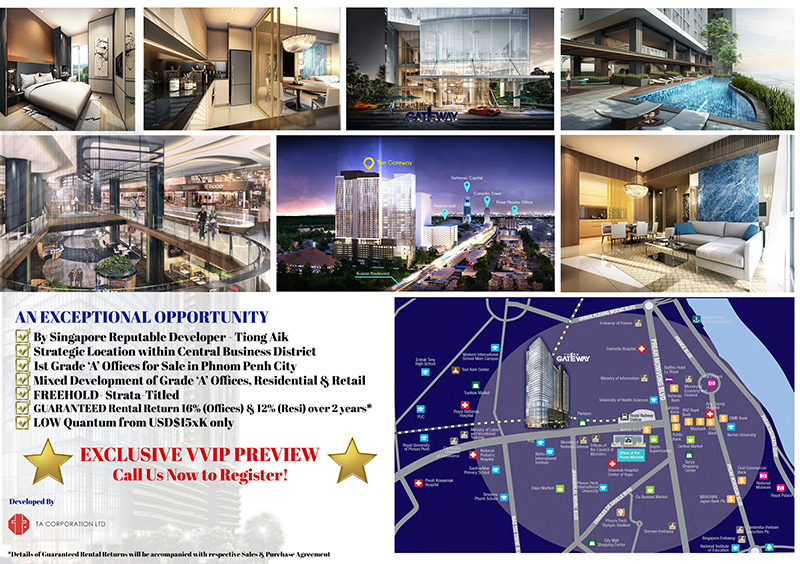 Receive Latest Information on Phnom Penh’s New & Upcoming Project The Gateway Cambodia. Subscribe to Us for Latest Updates Now! The Gateway Cambodia. Investors residing in Asia who wish to invest in The Gateway Cambodia should contact our Singapore Sales Office by filling up the form. 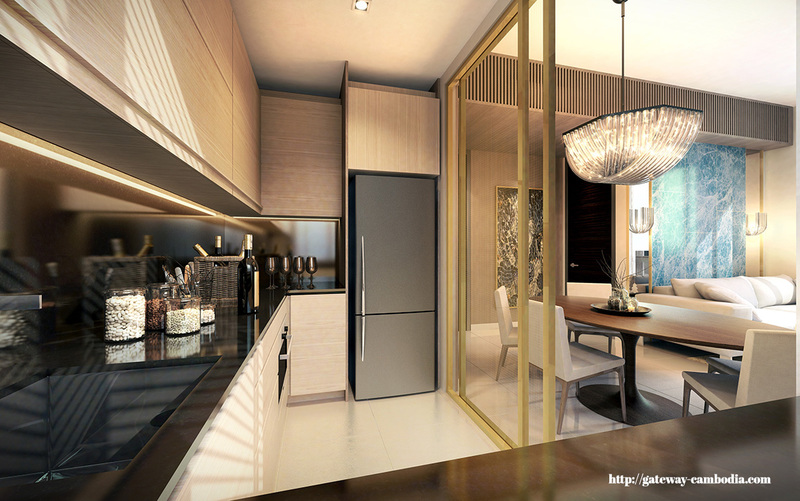 The Gateway Cambodia is an upcoming mixed development project to be launch in Phnom Penh along Russian Boulevard. 24 storey Office Towers (299 units), 26 storey Residential Tower (572 units) with Sky Terrace and Basement Car Park. Rising 26 storeys into the sky. 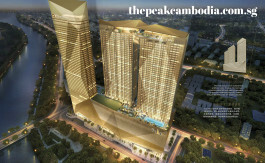 The Gateway Cambodia is slated to be an iconic architecture along Russian Boulevard which is not to be missed. Situated along the major route from Phnom Penh International Airport to the Central Business District. 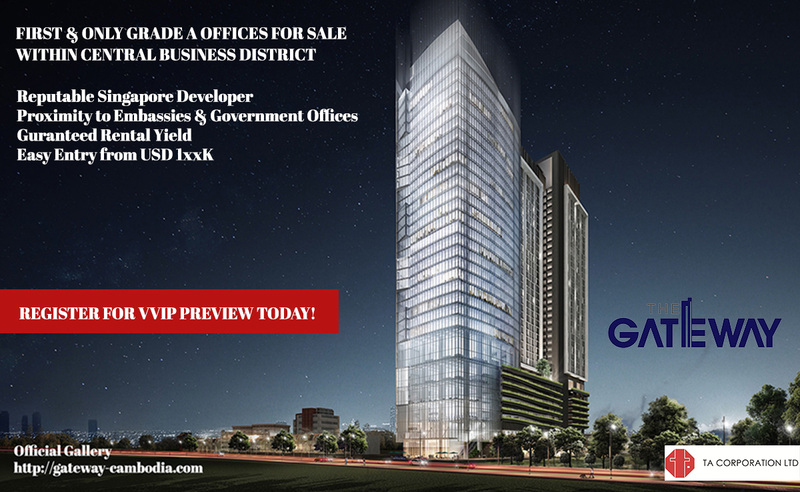 The Gateway Cambodia is strategically located within the business vicinity of the vibrant economic zone of the city. With bulk of its purchasing demand coming from the local themselves mainly from Multinational Corporation & Small Medium Sized Businesses in Phnom Penh; it displays a vote of confidence and a positive signal for potential investors who have invested. The ASEAN Economic Community (AEC) which increased the convenience of doing business in Phnom Penh have led to stimulated demand for foreign direct investments from International Companies seizing the opportunity to tap on the high growth potential in Cambodia. Tap into Phnom Penh’s strong and growing economy with about 7% year on year growth with doubling of land prices and construction costs along Russian Boulevard; coupled with an increasing number of young population forming majority of the middle working class in future which demands housing and commercial spaces from international companies. 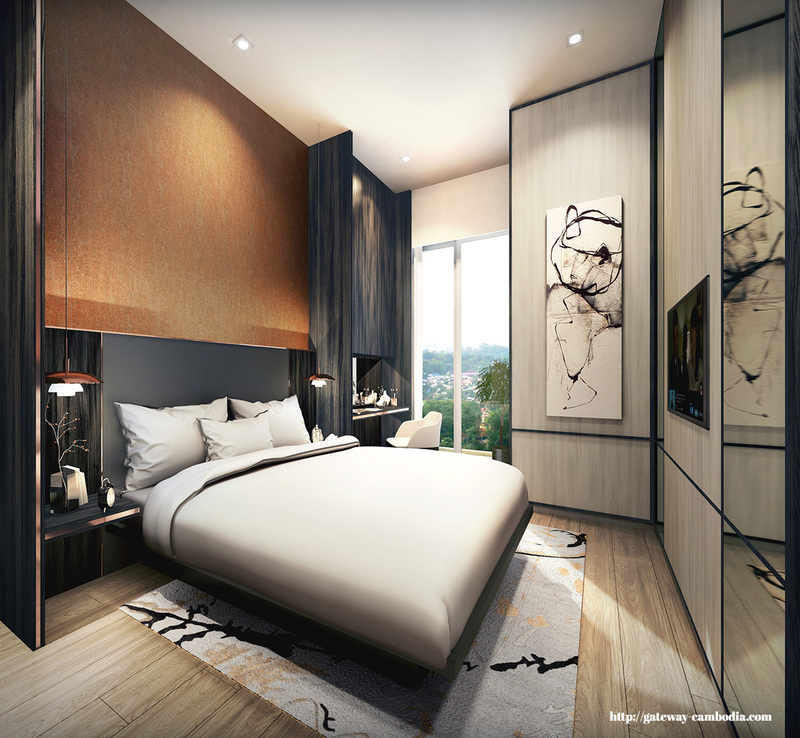 The Gateway Cambodia highlights a stylish silver; which displays a colour of posh living with two towers comprising about 572 residential units and 299 offices with diverse configurations, each are built in contemporary style. 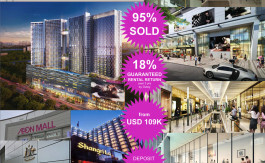 On the ground floor, there are shopping malls followed by 2 levels of mid to high end retail and foodcourt. 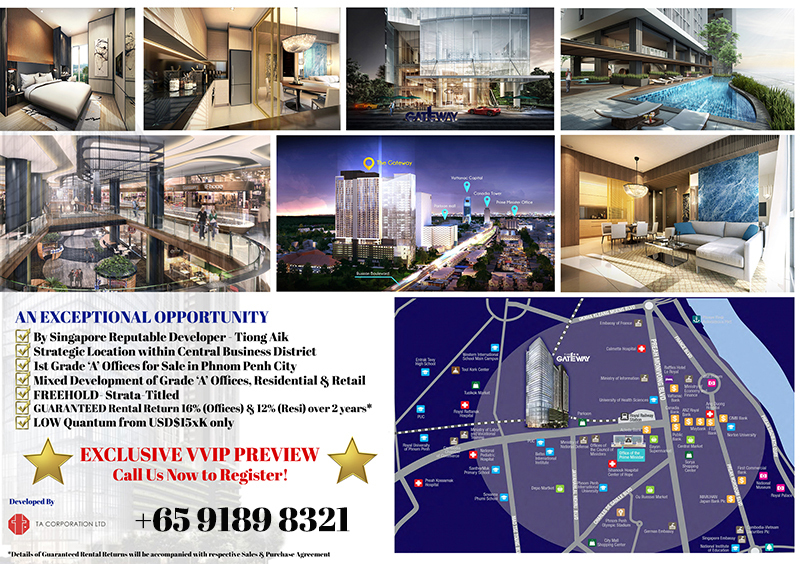 An exceptional opportunity in the high growth Phnom Penh City, it is set to lead growth in ASEAN. Cambodia’s fast growing economy, political stability and well-educated population of young workers has led to high GDP figures in recent years. This trend looks set to continue in the near future. Phnom Penh experienced massive inflows of foreign investments and funds since the establishment of the Phnom Penh Special Economic Zone in 2006. And in 2010, the Foreign Investment in Real Property Act was enacted, driving the phenomenal growth of the real estate market. 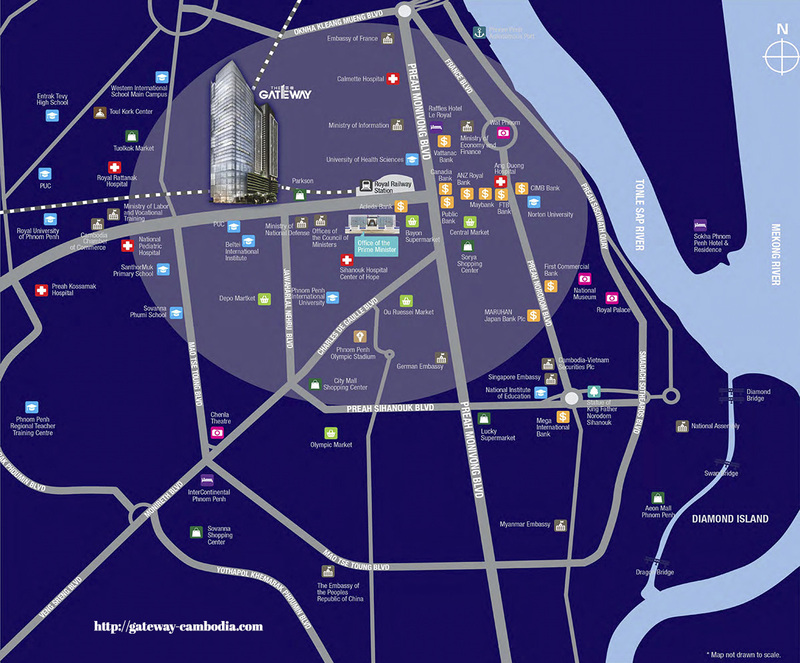 Right in the heart of Phnom Penh City, The Gateway Cambodia is located in the Central Business District of booming Phnom Penh, along Russian Boulevard, the main route from the airport to the city centre. 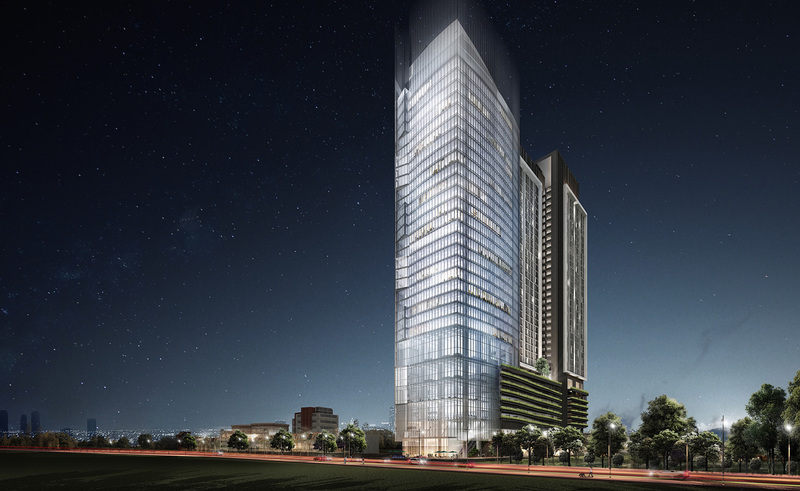 Major Bank Headquarters, International Schools, Phnom Penh Universities, Royal Phnom Penh Hospitals, Boutique Eateries, Flagship Retail stores are all within reach from The Gateway Cambodia. Potential tenants would tap onto the pool of workforce working in the Central Business District. 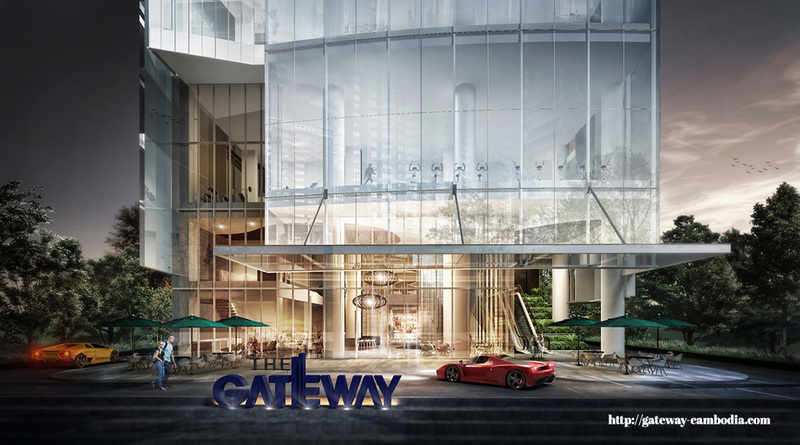 The Gateway Cambodia offers 2 levels of retail excitement at your doorstep with specialty shops, chic culinary restaurants and exciting entertainment spots to top it off, not to mention more of such fine experiences in surrounding malls to satisfy your shopping desires and daily conveniences. 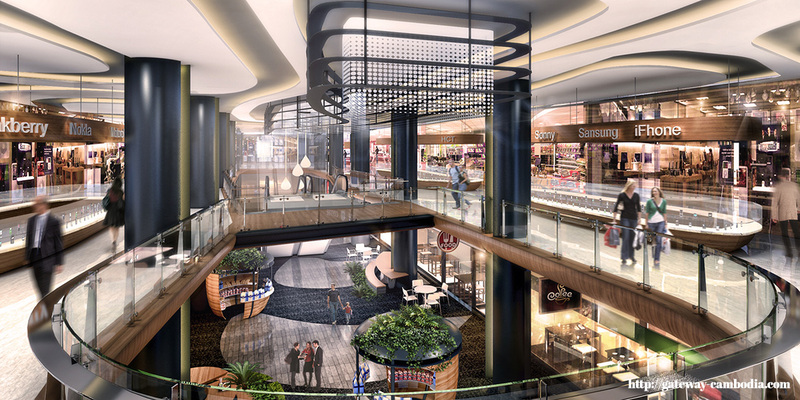 The Gateway Cambodia offers two levels of retail excitement at your doorstep with specialty shops, chic culinary restaurants and exciting entertainment spots to top it off, not to mention more of such fine experiences in surround malls to satisfy your shopping desires and daily conveniences. Islands of bliss in the sky, the two landscaped sky decks to create a unique private world of lush greenery and sparkling blue pools. The experience of recreation is complete with stunning views all around. At Level 10, stay fit and healthy by using the full facilities recreational fitness and gym. Organise a gathering and party with friends or family at the BBQ Pavilion, Poolside Lounge or Function Rooms. Pamper and relax at the Steam Rooms to elevate your sensory experience. Immerse in sheer indulgence on facilities crafted for your pleasure. Bask in the sun on the pool deck, wash your cares away in the jacuzzi, or be mesmerised by the breathtaking city view in the infinity pool. Space truly comes alive in residences designed with an eye on beauty. 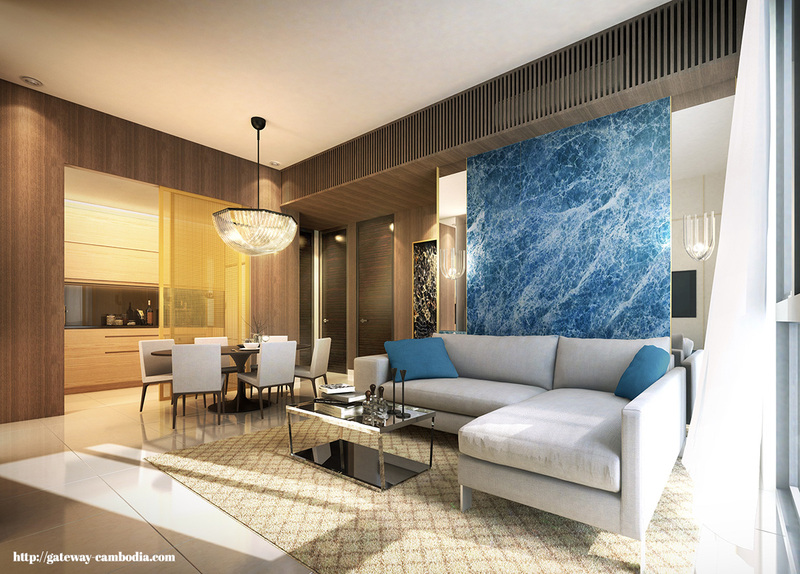 A clean and modern style excites sophistication yet fosters a sense of intimacy.